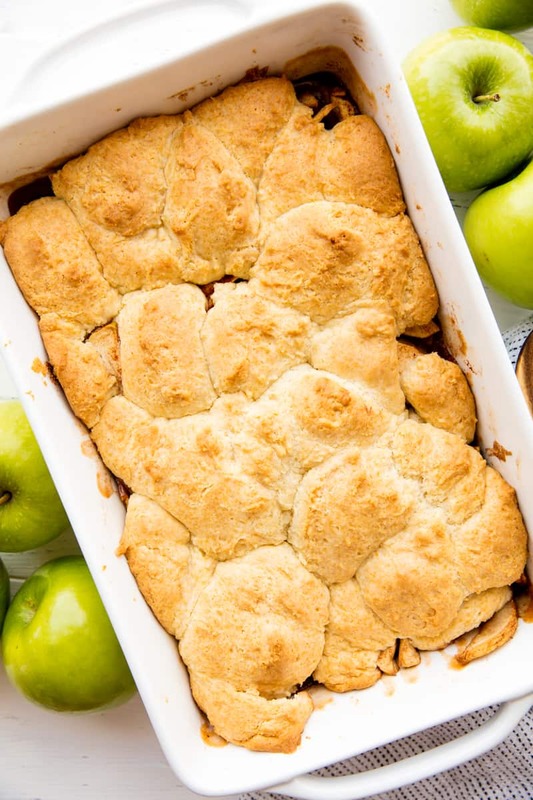 Can this apple cobbler be made in a dutch oven? Yes, this recipe will work in a dutch oven. Instead of placing everything into a 9×13 pan, you would use a 12-inch dutch oven. To create a 350 degree oven environment, place 14 coals on top, and 7 coals on bottom. The cooking time will remain approximately 1 hour. 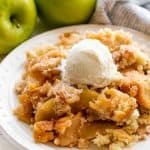 What are the best apples to use for cobbler? There are hundreds of varieties of apples so it can be hard to know which to purchase. 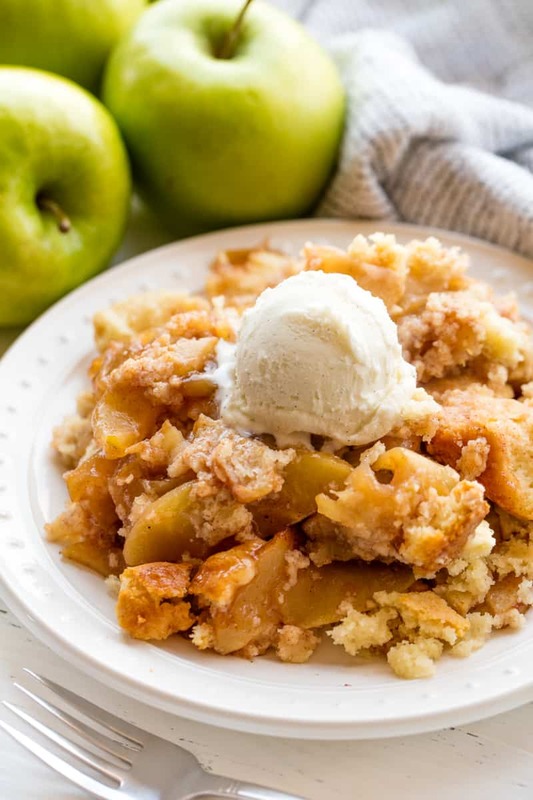 There are a number of commonly sold apples that are great for baking. Green apples like Granny Smith provide a nice tart flavor and are great for baking. Other yellow and red varieties that are good for baking include Golden Delicious, Honey Crisp, Braeburn, Jonathan, Fuji, and Pink Lady. Check the apple for freshness, it should be nice and hard. If the apple is squishy, is bruised, or discolored, you will want to discard them.